Nowadays, people are judged and compartmentalized according to a great number of limiting categories including their diplomas and studies, their appearance, where they live, their religious beliefs etc. The Elders, presented below, have nothing to do to with any of these references. These individuals are free thinking, free to be, free to have faith, belong only to Nature, to the whole, to the universe. Each of them is able to connect, in their own way, to the vibrational essence of the Earth, their sole daily pursuit is to find harmony within themselves, harmony with their environment and the Earth that supports them. Their greatest quality is that of carrying within themselves the simple values of nature and of behaving with respect for those around them, learning from everything, accepting that each thing, each being creates according to its own raison d’être. In the greatest of humility and each with his or her unique approach, they know how to preserve the purity of truth and the notion of unity. Aoki Hiroyuki is 82 years old and lives between Tokyo and Yokohama. Through the rigorous practice of Kenbu Tenshin Ryu, a martial art he developed, master Aoki is connected with nature in total harmony. He allows each one of his students to develop a direct bond with nature and the universe, feeling the interconnectivity between us all, and allowing everyone to find their true self. Bringing the spiritual back to the physical, he opens a gateway to a timeless place where the body becomes a temple of life. Regardless of his connection to nature, Master Aoki has made the conscious choice of creating balance and harmony within urban spaces and its inhabitants. Kgomxoo Tixhao and Kgao Qame are two San Bushmen from the Kalahari Desert. These elders represent the polarity Male-Female thus forming an unique spiritual entity. Together they are shamans and healers who receive messages through their dreams and trance dances when they connect with their ancestors. They continue to live in complete accordance with Nature. Used to humbly sharing their resources to create the best around them, there culture is based on joy, listening, observation and experimentation. Their way of seeing life, living and teaching without pretence puts us face to face with the many incoherences of being a ‘modern man’. Their simplicity mirrors the errors of educated men and the ease with which our society has created difficulties in all aspects of living. 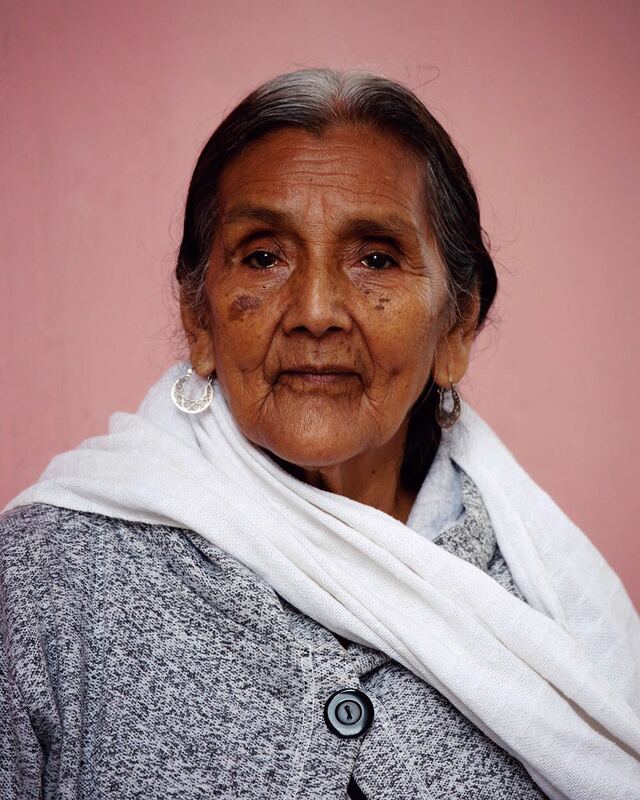 Grandmother Julieta was a member of the International Council of Thirteen Indigenous Grandmothers. She has passed away on July 23rd 2018 at the age of 82 and lived in Huautla De Jimenez, a place of symbiosis between the ancient Mazatec culture and catholic religion. This balance,of which Abuela Julieta was the exact reflection, contributed to the community opening to spirituality in a different way. Her faith and catholic background connected with traditional work through los Niños Santos, the sacred mushrooms. In the spiritual context of a sacred ritual, los Niños Santos enabled Julieta to heal, connect people with the Earth and open doors to ancient and true knowledge. Her whole life was dedicated to serving the spirit of nature. Mamo Evangelista from the Wiwa tribe in Sierra Nevada, is one of the spiritual leaders who are in charge of maintaining the natural order of the world through songs, meditations and ritual offerings. It is their responsibility to maintain the balance of the universe and nature and to give back to the earth what is taken out of it. As a man rooted in nature, Evangelista’s inner work is dedicated to raising awareness of what humans should do to avoid the destruction of a planet by its own inhabitants. He foresees that unless mankind does not find its roots, balance and respect we owe the earth, the sky, the four directions, the sun and the moon, in eight years our civilisation will reach a point of no return. 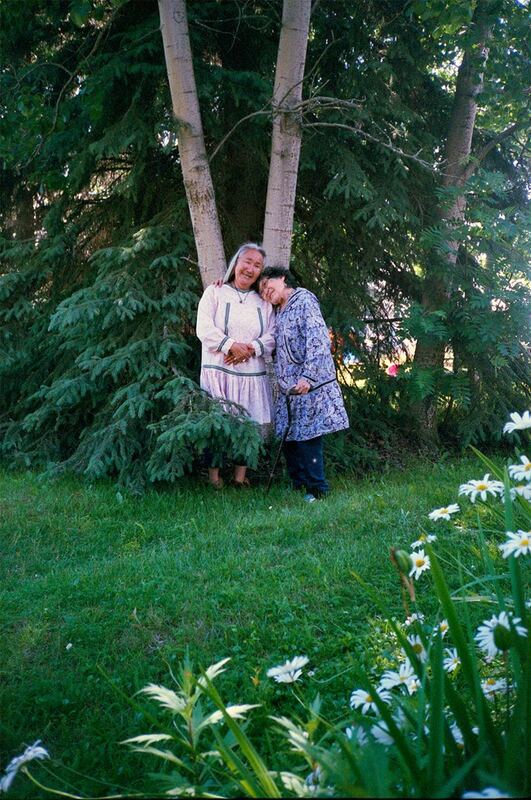 Rita Blumenstein and Marie Meade are members of the Yup’ik tribe and live in Anchorage. Both are recognized keepers and instructors of native languages and traditions. Master Rita from a very early age were able to see the light and knew that she was destined to be a healer. Master Marie is an instructor at the University of Alaska Anchorage, where she teaches Central Yup’ik language, Yup’ik orthography and Alaska Native dance classes. Masters Rita and Marie have been working together for more than 20 years. Over that time have they adopted many cultures and used technology to spread their wisdom. Nevertheless, their roots will always lie within the Yup’ik heritage. Floriza Pinto lives inside the amazon rainforest by the river Maturaka on the Brazilian-Venezuelan border. She is a member of the Yanomami tribes and the youngest member to take part in the Wisdom Council. In her culture, existence is based around nature. Because of that, Floriza holds a deep appreciation of the beauty of her home and its surrounding nature. She also believes that nature has the same rights as human beings and needs to be treated with a respect that has been lost in the modern. Although she never left the Amazon, she notices the negative impact of western influences like illness created by industrial foods and younger generations being disconnected from their cultural traditions and Nature. Therefore, the direction in which the modern world is heading worries her. Aama, lives and works in Kathmandu. Her father was a revered shaman in the Nepalese Tamang tradition and initially restricted Aama from practicing shamanism, as this role was forbidden from women. After his death, the spirits and other deities started visiting and teaching her. Her patients travel from around the country, as well as India and Tibet to her house in Boudhnath, where she treats around a hundred patients each day. Every morning at 4 am she begins her day with prayers and offering to nature, spiritually cleaning her house from the bottom to the top, ending her prayers on her roof at sunrise. Barbara Gibson–Thorpe is a Wiradjuri and lives in Echuca. Disconnected from her roots by the intrusion of British colonies, like millions of native Australians, she is the guardian of harmony between two worlds and two societies. Barb does her very best to bring forgiveness, meaning and a sense of purpose into a new model of society. Her life purpose is to prevent her original cultural heritage from fading away and providing it with, the same rights that the colonizers took away. Nowadays, Barb is worried for humanity. Lyudmila Khomovna is one of the last people of Ualtan decent. She lives at the most extreme and isolated point of eastern Siberia, a remote island of Sakhalin. Despite living in the most hostile climate, with temperatures plummeting to -50C during winter, she manages to remain strong, joyful and resilient. Just like an indestructible seed she continues her work as a guide. 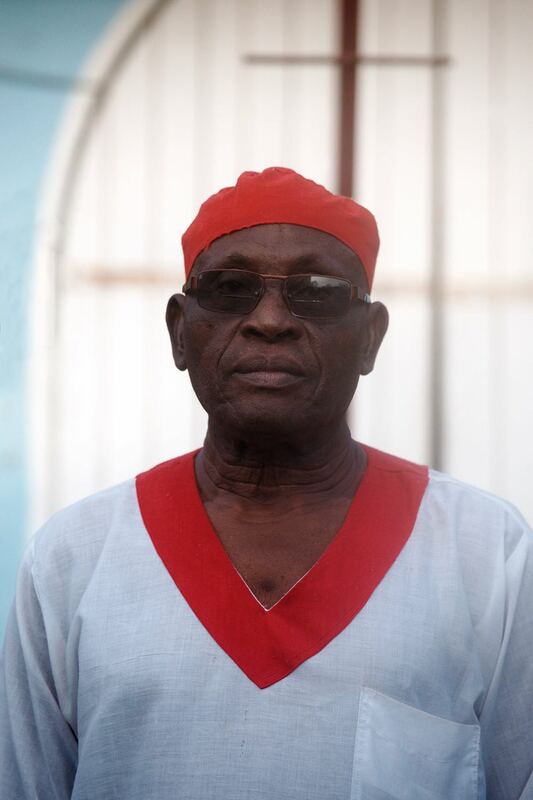 Maitre Atome Ribenga has been a consecrated priest in the Bwiti tradition for 50 years. Through his studies of monotheism and theology he discovered his life’s mission - helping people to reconnect with the spirit and the divine within themselves. In full humility, with inexhaustible curiosity for the cosmos, his teaching gives people an opportunity to learn on their own, through direct experience. Therefore they can discover their inner truth and not a written truth.